As of 1 May, 2016 English Club TV LTD and MediaCase Corp. have signed a distribution agreement. Under the contract English Club TV LTD provides MediaCase Corp. with the exclusive rights for the distribution of the English Club TV Channel in the United States of America and Canada. “We are delighted to enter into such a partnership and believe that it will lead to the further expansion of the English Club TV presence in North America. By now, we have distributed some of the English Club TV content over the region, but we aspire to launch the channel as well. The USA has the biggest population of immigrants in the world, and together with Canada, comprises about 23% of the world’s immigrant population. Therefore I think English Club TV will be particularly useful for viewers in this region to support them while learning English. “It’s tremendous to be granted such an exclusive opportunity to distribute the English Club TV Channel in North America. In our modern world, where media plays such an important role, launching a new educational channel is undoubtedly of vital importance, especially if it is an English learning channel. One can hardly underestimate the significance of English language. It’s the official language in a large number of countries, the dominant business language, the ultimate access tool to an incredible wealth of entertainment and greater cultural understanding. The English Club TV Group is a group of production, education and distribution companies that operates worldwide in the field of English language teaching under the brands of “ENGLISH CLUB TV” and “ECTV”. English Club TV is an educational channel for those who study English. It is broadcast in more than 76 countries in Europe, Asia, Africa and Middle East. For more information please visit our website http://english-club.tv/news/. MediaCase Corp. is a distributor of TV Channels and TV content on the North American market. It closely works with TV Channels from around the globe to develop their business in North America by offering turnkey solutions which range from ideas, insights and strategies for expanding into the region to acquiring and establishing wide distribution on the North American market. Profound knowledge and decades of comprehensive experience in TV marketplace have built up many strategic relationships with key contacts around the world at major cable, satellite and telco providers. 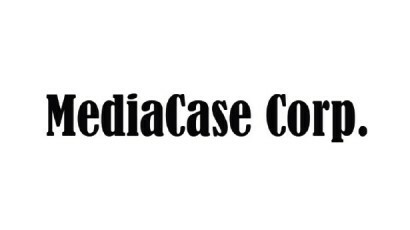 MediaCase Corp. is dedicated to staying at the cutting edge of the media world industry bringing more powerful and trendy solutions into the field of content distribution.